Cloud computing has drawn a great deal of attention as a way to reduce IT costs in healthcare. 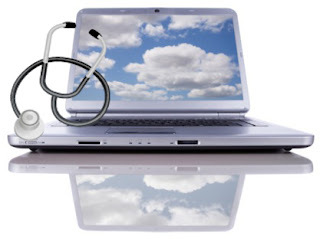 But are the companies that offer cloud computing well-prepared to meet the HIPAA privacy and security requirements? As hospitals and clinics alike consider their options for adding new applications in a hurry, on a tight budget or lacking necessary resources, many are considering the cloud computing option. With the HITECH EHR incentive payment program kicking into high gear, organizations are feeling pressure to devise ways to roll out new systems quickly so they can earn the maximum payments from Medicare and Medicaid. How is the private cloud different from the public cloud? Isn't cloud computing, and especially the private cloud, really just the same as virtualization? How do you build the private cloud for Windows Server and its applications? What makes up a private cloud built with VMM 2012? Is a service the same thing as a VM? Can a VMM 2012 private cloud use other virtualization platforms besides Hyper-V? So what gives the private cloud self-service capabilities? When is VMM 2012 due to be released? Is VMM 2012 the only product that can build the private cloud? Cloud computing solutions can provide many advantages to businesses, but those implementing the service must carefully consider the security aspects of the systems. This is according to one expert who suggested that, like other advanced technologies, cloud computing will rise in popularity as more and more companies realise the benefits, but the trend will also impact on the need to work harder on the quality and safety of software. Phil Codd, managing director and chief markets officer for northern Europe, India and South Africa at Software Quality Systems, said that security and performance are critical to the nature of virtualisation. "Cloud computing can provide tremendous advantages to an organisation and there are additional considerations such as performance testing [and] security testing, as well as the need to ensure consistent functionality," Mr Codd commented. Often referred to as the ‘ugly part” of cloud computing. Integration plays a crucial role if you want to deliver cloud based solutions to your business. Outlining a cloud strategy could be a time consuming and difficult process, but the planning part must also take into account the fact that the on – premises resources and infrastructure a company has must be coordinated with the applications to be hosted in the cloud. While the fast path to cloud computing varies, it looks like many enterprises, as well as consumers, were already on the way before they really knew what cloud computing meant. Consumers who have been using online services for more than a decade may have become confused when popular software providers such as Microsoft started declaring “to the cloud” in reference to just about every imaginable online service. The typical consumer computer user didn’t realize they were using what is now called cloud services. Don’t forget to add your comments and suggestions. I will have more around the cloud a week later. That's all for now. Wish all readers a Merry Christmas.